Power consumption is also less. The blending takes place at low speed during operation. It is well balanced even in higher capacities. 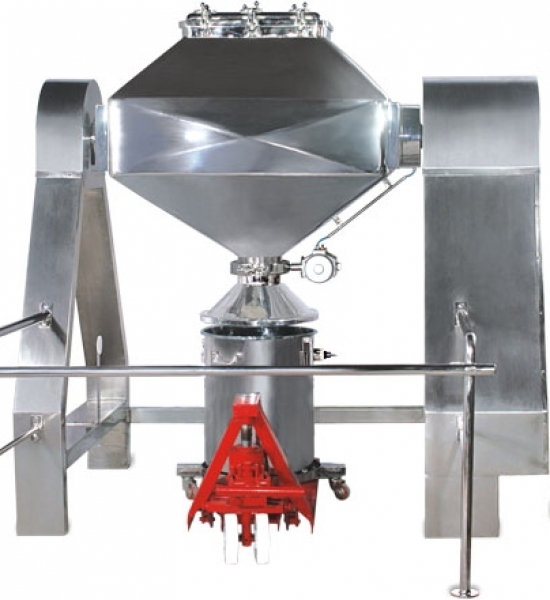 It is very useful for pharmaceutical industries wherein gentle blending of dry granules of powder is to be done. 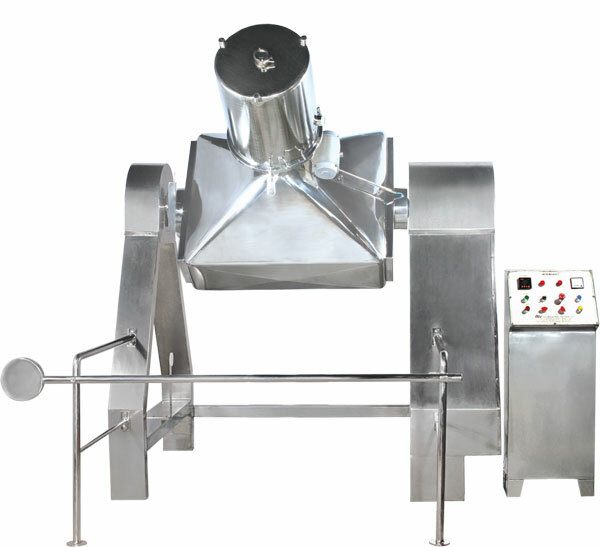 It is a slow speed blender and has removable type baffles mounted on a rectangular shell. The important feature of the machine is easy to wash in place. 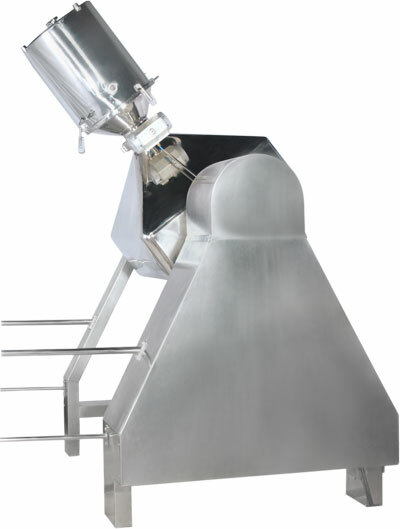 Octagonal blender is supplied with a bin charging system or can be designed for vacuum charging. Dust free charging system is also incorporated, which is a completely closed system for charging and discharging of powders or granules. The power consumption is comparatively lower than other similar type of blenders. The machine basically consists of shell welded with conical Octagonal shape ends and supported with sturdy supports on both side. The right hand side shaft is connected to a standard gearbox by means of chain and sprockets, which in turn is coupled to an electric motor. The whole drive assembly is covered with S.S. side panel. The inside portion of Octa body is mirror polished and the outside surface of Octa body; frame & guards are matt polished. 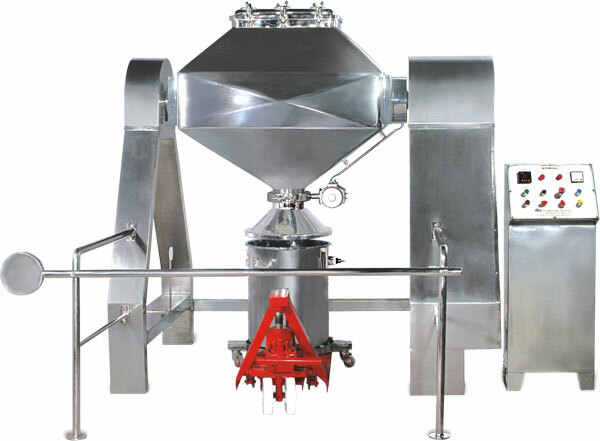 The material to be mixed is charged in machine either manually from top or bin charging system or vacuum charging system and then the port is locked positively. Then blender is started to preset blending time. At the end of process, machine is stopped and the product is transferred to process containers by opening the butterfly value. 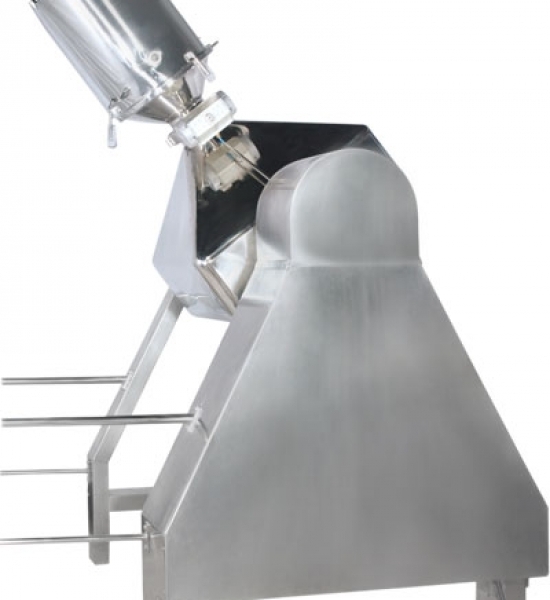 Material handling in Octa Blender is through Bin charging or a Vacuum charging system. 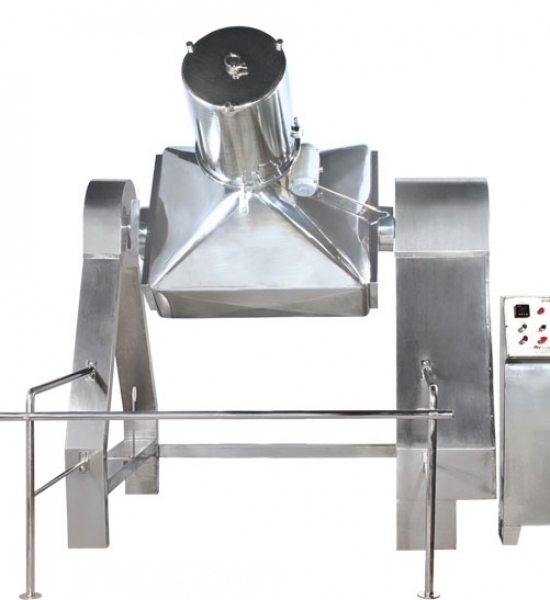 Bin charging system ensures Dust free closed system for Charging and Discharging of Product. Slow speed Blender with Gentle blending of Dry granule. Optional in built in Vacuum design. No external PTS required. The baffles are eliminated with blending profile analysis available. Pneumatically actuated valves for dust free transfers. Bins with Level sensory for automatic cut off. Mechanical Seals on shafts for Pneumatic connections. cGMP design for ease of cleaning. Capacities available from 1 L to 10000 L (Higher capacity upto 20000 L on demand).